Travel Oops: How about a Skippy Burger on the Barbie? “Maybe we should get some shrimp,” I suggested to Kurt as we cruised through the aisles of Coles, one of Australia’s main grocery stores. “You know Aussies really like their ‘shrimp on the barbie.’” I repeated a well-known fact in the US about Australians and their barbecue bounty. Kurt and I were preparing to host our first “legit” Australian barbecue. To say barbecuing is popular in Australia is a pretty flimsy assessment. 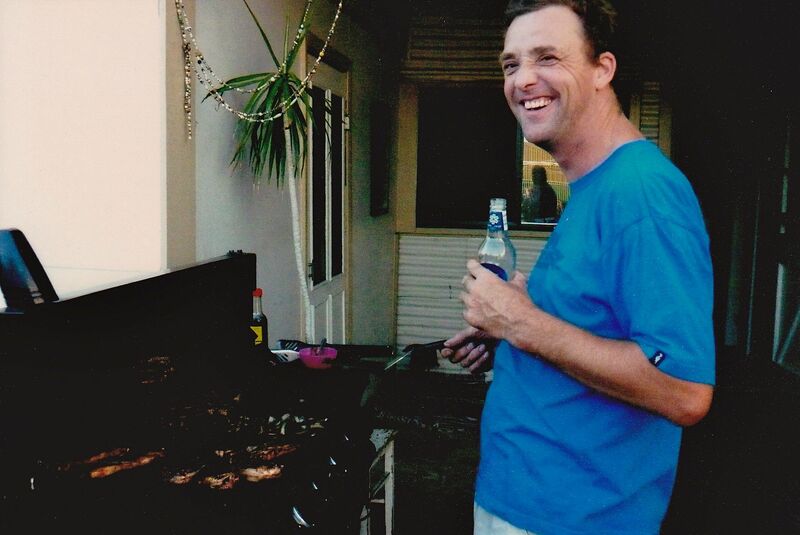 BBQs in Australia are like Baptist churches in the Bible Belt of the US. They are a given, well attended and the followers are devout. We knew barbecue was big time. 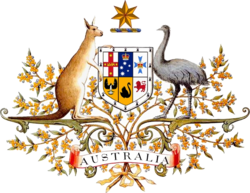 In fact, only living in Adelaide a few weeks, we had already been invited to two events. 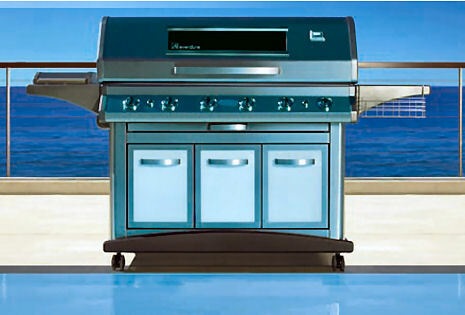 The grills, alone, are impressive precision-engineered machines and major household appliances. Some look like they could power a small aircraft. Certainly the control panel of the one we used confused a rookie Yank like me as I attempted to adjust settings during a trial run. Consequently, we searched Coles for the right meats, sides and even condiments. “I don’t see any shrimp at all — just these prawns,” I called out to Kurt. “Yikes, and look at how expensive they are.” I could certainly understand exorbitant prices for seafood in a land locked area, but we were ten minutes from the ocean. Nixing the idea of shrimp, we considered other options. “We could use sausages for hot dogs,” I proposed although sausages tripped me up a bit. When recently trying to cook them for our young kids Eddie and Kasey, I noticed a thin film like layer of what looked like plastic wrap encasing the links. Do you take this plasticky stuff off? No, it appeared the wrap was holding all the meat together. 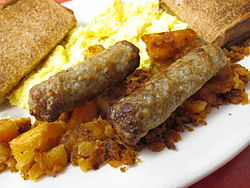 In the US, sausages are much more of a breakfast thing. When I attended a “Sausage Sizzle,” at the Australian school where I was a new exchange teacher, it was quite enlightening. The concept had nothing to do with what I expected: sausages accompanying scrambled eggs, toast, hash browns and orange juice. The sausages at the Sizzle stood alone, taking second to no other food, especially not bacon. “I think we’re good with the kangaroo meat we bought,” Kurt responded. 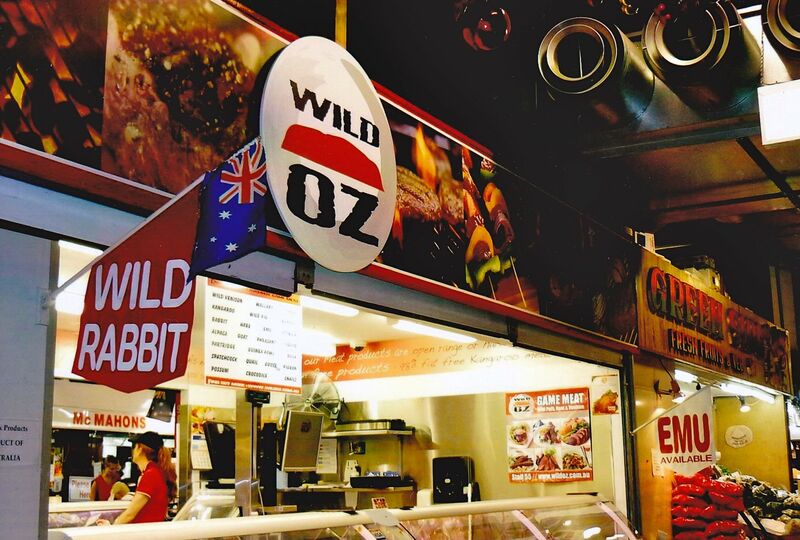 Fortunately, we had purchased two kilos of kangaroo meat at Wild Oz in the Central Market. Before we had left for Australia, we attended an orientation on what to expect during a teaching exchange. During the session, someone told us Australians eat a lot of kangaroo meat. Wow..really? I remember thinking. Well as long as I don’t see ground koala in the stores, I’ll be okay. Plus, it really wasn’t any different from eating deer or elk. To get into the groove of Oz, I ordered a kangaroo burger for our first meal after we arrived. “Besides, I can’t find hot dog buns anywhere,” said Kurt, hauling a bag of potatoes over to the cart. After getting the last-minute groceries and beer, we went back to the house in which we were living for the next year. Our guests dropped by a few hours later. Dash Taylor, the teacher with whom I essentially exchanged lives, had arranged to have his family get us settled into Adelaide when we first arrived. They kindly picked us up at the airport and thoughtfully stocked groceries in the cupboards, including peanut butter. His parents, Shirley and Les, along with his aunt Grace and her son Jason and his girlfriend Jing couldn’t have been more welcoming. 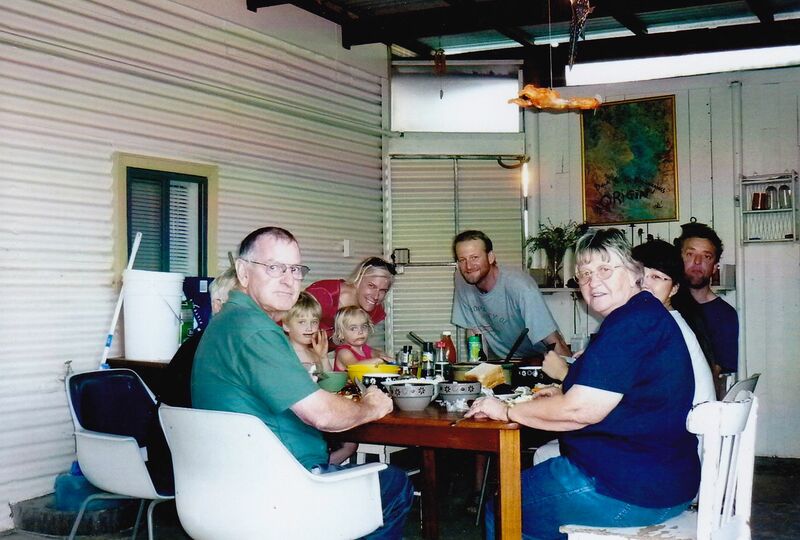 We all went out to the back patio and stationed ourselves near the gargantuan grill and talked about the recent bush fires and footy — a passionate subject for Les who was a diehard Collingwood Magpies fan. Soon the topic became differences in Australian and American cultures. Under pressure at the grill, Kurt flipped roo burgers with a power spatula, resembling what I imagined some kind of shovel to remove ashes from a chimney or incinerator would look like. Jason and Les asked if Kurt needed any assistance, but Kurt declined their help. Jason was a sculptor and your basic human encyclopedia. Sometimes he had a knack for telling you too much information. Like the time we drove with him to a South Australian beach, and he educated us about deadly snakes. 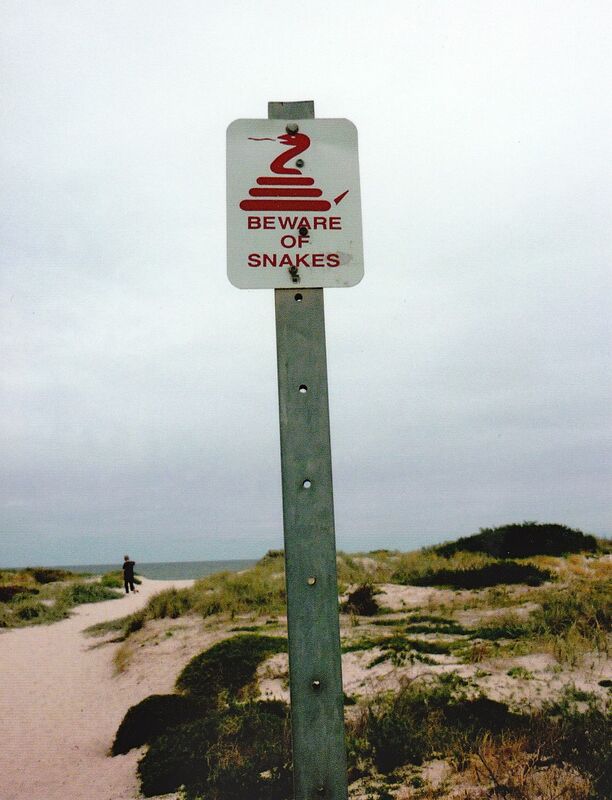 When we arrived at the beach and saw a “Beware of Snakes” sign (at the beach?!) He told us about another special serpent. “This is the natural habitat for the Death Adder.” (Gotta love how straight forward the Australians are with naming things.) “It’s got syringe like teeth that inject the poison once they’ve latched on to their victims.” He continued as we walked up the sandy pathway to the beachfront. “They’ll bury themselves in the sand and stick their tongues out, so birds think they are worms. Then the unsuspecting birds go for the tongue and ultimately end up as lunch.” Why was I walking barefoot? “Just give a shout out if you need help, Kurt.” Jason said handing him a stubby of beer. Kurt focused on the kangaroo and I could tell by his furrowed brow that it was perhaps not going as well. “We’re having kangaroo burgers,” I announced to everyone as I set some potatoes and salad on the table. “Oh.” Shirley said, sounding somewhat surprised. “This is my first time eating kangaroo,” she added. The way in which she informed us of this was not like a “This is my first time at Disneyland!” or “This is my first time winning the lottery!” It was more like a first time getting a speeding ticket or first time contracting a new strain of the flu virus. “I had kangaroo once…but it was a long time ago,” Grace maintained. Hmmm. Her statement didn’t sound reassuring like, “It was so delicious, and I have forgotten what a delicacy it is!” It was more of a pained revelation like she had been stranded in the Outback and resorted to clubbing a kangaroo, skinning it and eating it raw for survival’s sake. “I don’t really know that many people who eat it,” Shirley said matter-of-factly. “It’s hard for some people to eat kangaroo, because it’s basically Skippy,” Jason informed us. 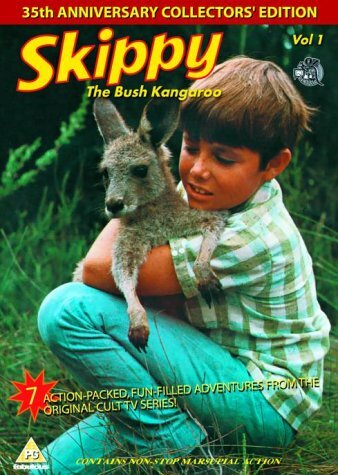 Apparently, Skippy was a familiar and beloved kangaroo that starred in his own television program. Kurt piled the burgers on a plate and handed it to me to pass around the table. “We looked for shrimp and it doesn’t seem as popular here,” I said while gauging the looks of our guests with regard to their Skippy burgers. “Oh and we don’t call it shrimp,” Grace said. 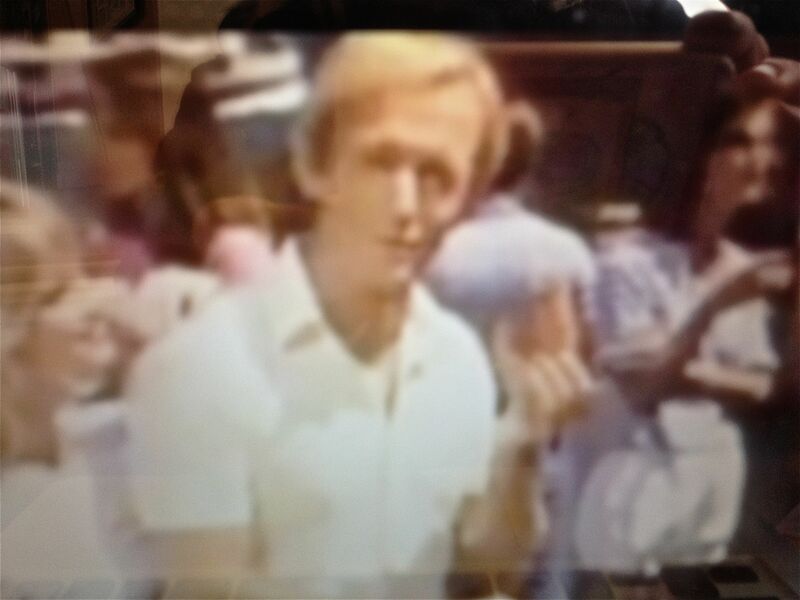 “Yeah, that would be an established stereotype and a legacy courtesy of Paul Hogan aka Crocodile Dundee,” Jason began. “We don’t eat shrimp on the barbie and we really don’t eat prawns as much because we are conditioned by our former British heritage,” Jason put his patty in between two pieces of white bread and proceeded to eat it with no reservations. I bit into the roo burger and it was pretty tough and dry. Thankfully, ketchup can mask any taste and distract you from the hard truth. The potatoes and salad vanished pretty quickly as did anything else that wasn’t meat. Socially speaking, the barbecue was a success, I’d say, but the plentiful leftovers indicated the food didn’t go over as well. The next day during care group at school, I asked my year 11’s if they ate kangaroo. “No!” most of them answered. “It’s Skippy, Miss,” said Caleb who was always straight up with me. Even Alexander, an intelligent, quiet student, seemed somewhat shocked that I would entertain such an idea. However, Steph, one of the first students to make me feel welcome, leaned over to tell me something. “I eat kangaroo, Mrs. Glaser, but it’s part of my culture.” Steph, who was aboriginal, shrugged her shoulders to reassure me it’s a “no worries”… “no big deal — don’t listen to them” scenario. 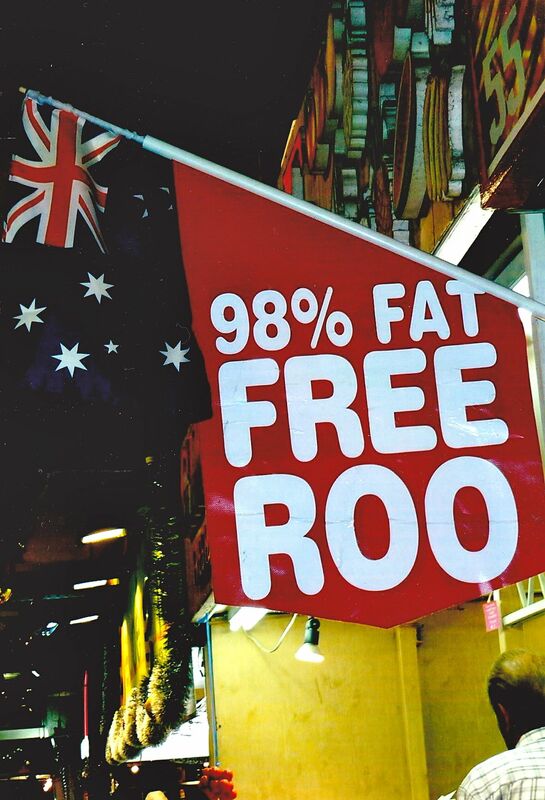 This entry was posted in Australia, Exchange Teaching, Food and Drink, Humor, Travel, Travel Humor, Travel Oops and tagged Australian BBQ, Australian stereotypes, kangaroo burgers, kangaroos, shrimp on the barbie by stephglaser. Bookmark the permalink. Oh the perils and joys of moving to a new country and getting to grips with the culture. I’ve made so many faux-pas since living in Indonesia – eating with my left-hand and blowing my nose in public are just 2 of them – I think the rest are unprintable!! I’ve never eaten Skippy, only the peanut butter variety 🙂 but I’d give it a whirl. My daughter Serena, says that crocodile tastes like ‘fishy chicken’ not sure I’d like that. That’s why I love reading your blog, Lottie! You’re not afraid to laugh at yourself and admit these things. I’m sure faux-pas in Indonesia are probably more intense (and funny???!) Happy days, indeed! ❤ from the Spider from Down Under. You are quite welcome, Steph. I have to admit, your story had me doubling over with laughter, when you told how much roo meat you had bought. LOL GEEZ! As someone that has eaten roo for a few years, I can tell you, it burns real easy and goes like leather if you overcook it. Its not a bad taste, but give me lamb any day. To be honest, Iamb and beef are the preferred for the bbq, since they tend to cook up well and taste great marinated. Beer? Lol check out my beer commercials, it tells you what is popular and where. Loved this post! 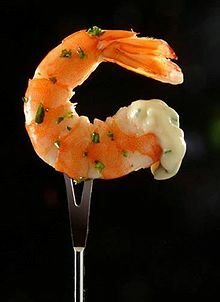 As for the “shrimp on the barbi” it’s really prawns, and we usually eat them steamed or boiled, and cold in the summer. Otherwise, it’s sausages and steaks on the bbq – and don’t forget the onions! Welcome to Austraya! You crack me up 🙂 It’s always an eye opener hearing how other cultures view us. And I love kangaroo steaks ! It’s very courageous to host a barbie, being a foreigner in Australië. I commend you! I myself never worked up the nerve to host a sushi party in Japan. Fortunately, since the Aussies are so “no worries” it didn’t seem too risky. Plus, grilling is pretty big in the US as well. We figured we couldn’t mess up too badly although we didn’t quite get the timing right with the kangaroo meat. I don’t blame you for not hosting a sushi party in Japan — that would be very intimidating!